Today reports that a Russian vigilante on a motorbike is grabbing trash thrown by drivers and tossing it back into their cars. 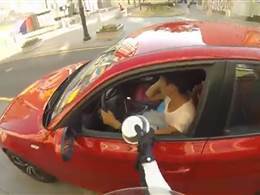 Litterer’s beware as this Russian biker is on the case. This video is quickly going viral on YouTube, so don’t miss out, the clip can be viewed here. $11.5 billion is spent every year to clean up litter, and an estimated 9 billion tones of litter is dropped per year, so this mystery vigilante is saving the taxpayer too. Shanghai metal likes to think they contribute due to their commitment to sustainable manufacturing processes, and their production of the stainless steel used in motorbike parts. As an ISO 14001 (International Quality Management System) Company and recipient of the “Star Enterprise Award,” Shanghai Metal Corporation prides itself on exceeding international standards of quality and reliability. We guarantee the best prices, quality support, and fast delivery. To find out more, please visit our Website or send your inquiry here. Follow us on LinkedIn, Twitter, Facebook, Instagram and don’t forget to subscribe to our YouTube channel. 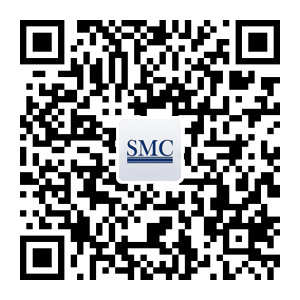 Or you could try our new mobile app by scanning our QR code. 下一 下篇文章： Sliding Doors Moment – Is Fate Real?